Establishing trust with a supplier can take some time. Unless this Chinese supplier was recommended to you, we advocate being cautious, especially with your payments. We created the Cash on Delivery (COD) service to enable you to easily purchase samples or small lots of goods. It significantly reduces your risk of goods theft or substandard goods. It also provides savings if multiple payments need to be made to the same supplier or small amounts need to be paid to multiple suppliers. *The services mentioned above are part of the 360° Sourcing Process, not of the Cash on Delivery Service. Goods are actually delivered, eliminating fraud suppliers who disappear after collecting payments. Goods are checked before the payment is made to the courier delivery person. (Please note detailed product inspection for complex products such as technology products is not possible through this service. Please use our Pre-Shipment Inspection service for this purpose). You can send us the payment to multiple suppliers as one single payment, thereby incurring bank transfer charges only once. Savings on Courier/Freight Charges through goods consolidation: If you receive several small shipments from multiple suppliers, you can pay as much as 300% more. By sending the goods as one lot, the fixed element of the freight cost is only paid once. Many Chinese suppliers cannot accept “convenient” forms of payments such as Paypal. We accept these forms of payments for your upmost convenience. You finalize the order with all your suppliers and agree to COD as the payment term using our address as the shipping address. We prepare all necessary documentation for exports (Certificate of Origin, Bill of Lading/Airway Bill, Invoices, Packing Lists, etc.) & ship your goods out. Please note that Cash on Delivery is now offered as part of our “Consolidation Service”. For more details about this service, please contact us with details of your requirements & nature of goods. 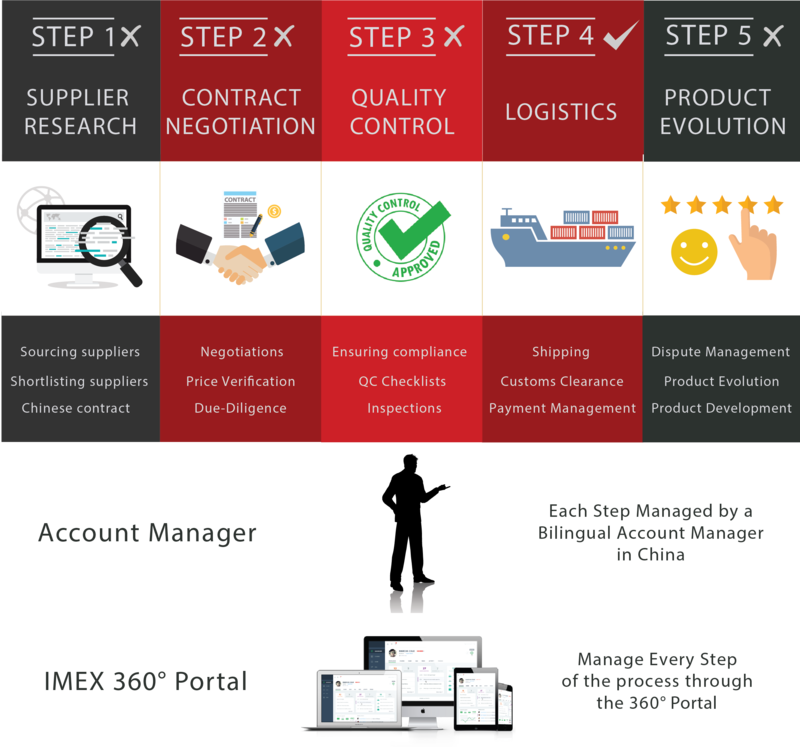 And if you’re interested in a full service, you can check out our 360° Sourcing Service, which will guide you throughout the entire Sourcing process. Looking to work with a trustworthy partner?